Record two to ten NEF (RAW) exposures as a single photograph. 0 On (series): Take a series of multiple exposures. Select Off to resume normal shooting. On (single photo): Take one multiple exposure. Off: Exit without creating additional multiple exposures. 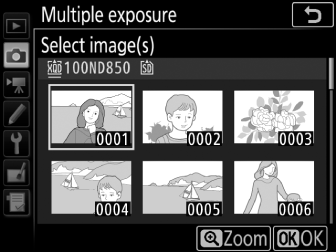 Choose the number of exposures that will be combined to form a single photograph. Add: The exposures are overlaid without modification; gain is not adjusted. 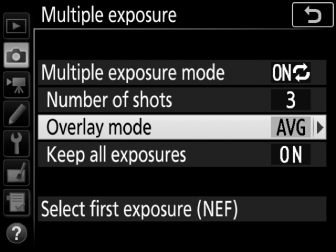 Average: Before the exposures are overlaid, the gain for each is divided by the total number of exposures taken (gain for each exposure is set to 1/2 for 2 exposures, 1/3 for 3 exposures, etc). Lighten: The camera compares the pixels in each exposure and uses only the brightest. 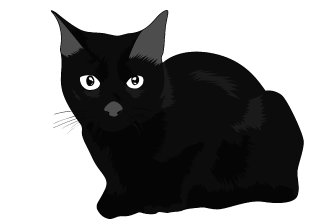 Darken: The camera compares the pixels in each exposure and uses only the darkest. On: Save the individual shots that make up each multiple exposure. Off: Discard the individual shots and save only the multiple exposure. Choose the first exposure from the NEF (RAW) images on the memory card. Multiple exposures cannot be recorded in live view. Exit live view before proceeding. If the monitor turns off during playback or menu operations and no operations are performed for about 30 s, shooting will end and a multiple exposure will be created from the exposures that have been recorded to that point. The time available to record the next exposure can be extended by choosing longer times for Custom Setting c2 (Standby timer, 0 c2: Standby Timer). Highlight Multiple exposure in the photo shooting menu and press 2. 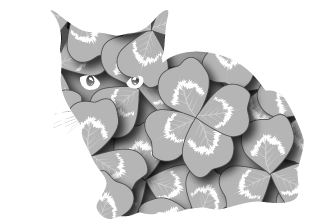 Highlight Multiple exposure mode and press 2, then press 1 or 3 to choose the desired mode and press J to select. 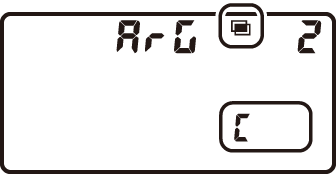 If On (series) or On (single photo) is selected, a n icon will be displayed in the control panel. Choose the number of shots. Highlight Number of shots and press 2. Press 1 or 3 to choose the number of exposures that will be combined to form a single photograph and press J. 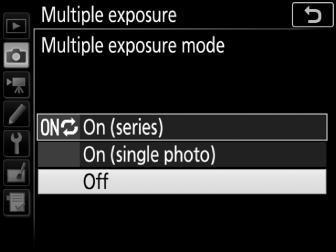 If Multiple exposure is selected for Custom Setting f1 (Custom control assignment) > BKT button + y (0 f1: Custom Control Assignment), you can select the multiple exposure mode by pressing the BKT button and rotating the main command dial and the number of shots by pressing the BKT button and rotating the sub-command dial. 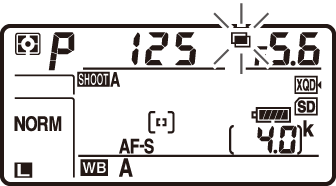 The mode and number of shots are shown in the control panel: the icons representing the mode are a for Off, B for On (single photo), and b for On (series). Highlight Overlay mode and press 2, then press 1 or 3 to choose the desired mode and press J to select. Choose whether to keep individual exposures. 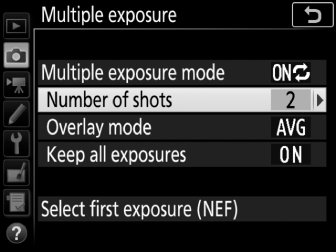 To choose whether to keep or delete the individual shots that make up the multiple exposure, highlight Keep all exposures and press 2, then press 1 or 3 to choose the desired option and press J to select. To choose the first exposure from existing photos taken with Large selected for Image size > NEF (RAW) in the photo shooting menu, highlight Select first exposure (NEF) and press 2. 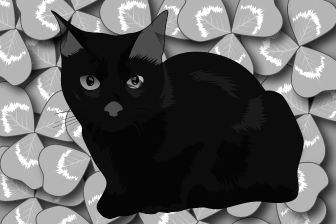 Use the multi selector to highlight the desired image and press J to select (to view the highlighted image full screen, press and hold the X button). To choose from images in a different slot or folder, press the W (M) button. Frame a photograph, focus, and shoot. In continuous release modes, the camera records all exposures in a single burst. 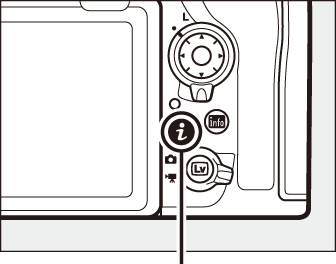 If On (series) is selected, the camera will continue to record multiple exposures while the shutter-release button is pressed; if On (single photo) is selected, multiple exposure shooting will end after the first photograph. In self-timer mode, the camera will automatically record the number of exposures selected in Step 3, regardless of the option selected for Custom Setting c3 (Self-timer) > Number of shots (0 c3: Self-Timer); the interval between shots is however controlled by Custom Setting c3 (Self-timer) > Interval between shots. 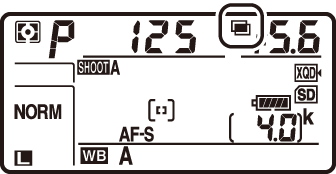 In other release modes, one photograph will be taken each time the shutter-release button is pressed; continue shooting until all exposures have been recorded. 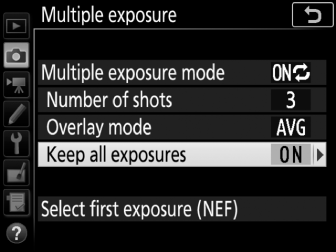 If you selected an existing NEF (RAW) image as the first exposure in Step 6, shooting will start from the second exposure. For information on interrupting a multiple exposure before all photographs are recorded, see “Ending Multiple Exposures” (0 Ending Multiple Exposures). The n icon will flash until shooting ends. If On (series) is selected, multiple exposure shooting will only end when Off is selected for multiple exposure mode; if On (single photo) is selected, multiple exposure shooting ends automatically when the multiple exposure is complete. The n icon clears from the display when multiple exposure shooting ends. 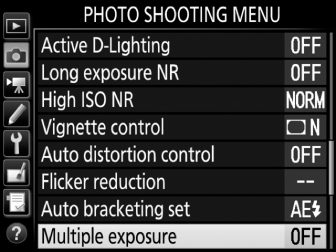 The options listed below can be accessed by pressing the K button during a multiple exposure and then pressing the i button. Use the touch screen or navigate the menu using the multi selector, pressing 1 or 3 to highlight items and pressing J to select. View progress: View a preview created from the exposures recorded to the current point. Retake last exposure: Retake the most recent exposure. Save and exit: Create a multiple exposure from the exposures taken to current point. Discard and exit: Exit without recording a multiple exposure. If On is selected for Keep all exposures, the individual exposures will be kept. 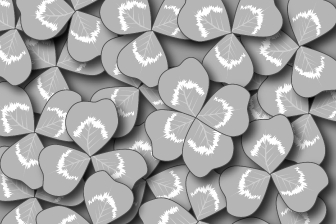 Multiple exposures may be affected by noise (randomly-spaced bright pixels, fog, or lines). Do not remove or replace the memory card while recording a multiple exposure. Live view is not available while shooting is in progress. Selecting live view resets Multiple exposure mode to Off. The shooting settings and photo info for multiple exposure photographs are those for the first exposure. If the NEF (RAW) image selected for the first exposure was recorded at an ISO sensitivity of Hi 0.3 to Hi 2, the electronic front-curtain shutter will not be used during the multiple exposure even if Enable is selected for Custom Setting d6 (Electronic front-curtain shutter, 0 d6: Electronic Front-Curtain Shutter). 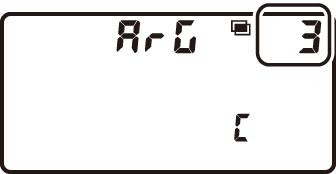 If interval timer photography is activated before the first exposure is taken, the camera will record exposures at the selected interval until the number of exposures specified in the multiple exposure menu have been taken (the number of shots listed in the interval timer shooting menu is ignored). 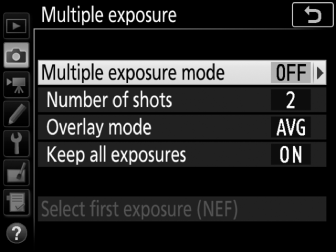 These exposures will then be recorded as a single photograph and interval timer shooting will end (if On (single photo) is selected for multiple exposure mode, multiple exposure shooting will also end automatically). 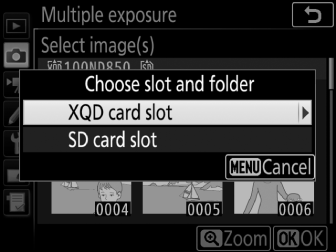 While a multiple exposure is being shot, memory cards cannot be formatted and some menu items are grayed out and cannot be changed.